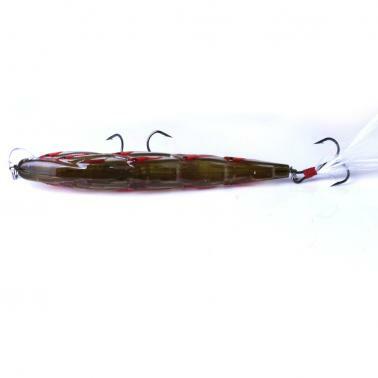 This fishing bait makes it easier to hook the fish and the hard hook can catch the big fish. The shape of lure is novel and it is easy to use. This will bring joy to people who like fishing. 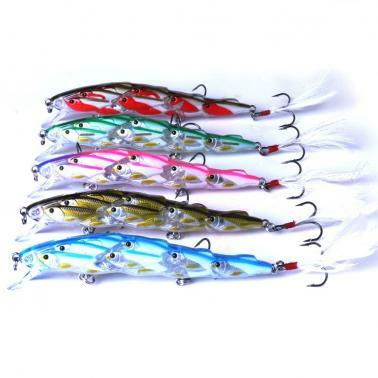 3D eyes make it is a perfect tool for fishing lovers. Bright colors can attract big fish in the water. Easy to carry and clean. 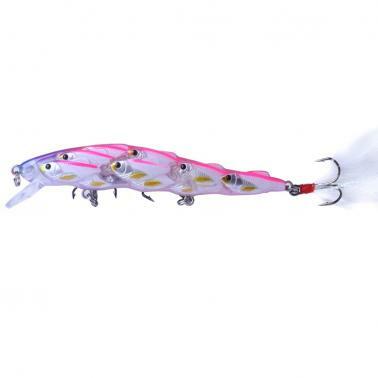 These fishing baits are as lifelike as fish in the water. The feather hooks are sharp and penetrate deeper. It can be used to fish many kinds of fishes: bass, snakehead, black carp, mandarin fish, catfish ,carp, pike, squid, crucian etc. It can be used in ocean boat fishing, ocean beach fishing, ocean rock fishing, lake, reservoir, pond, river, stream.